Fans of the Corvette know that 2010 marks a special occasion; the 50th anniversary of Corvette’s first victory at the 24 Hours of Le Mans endurance race. 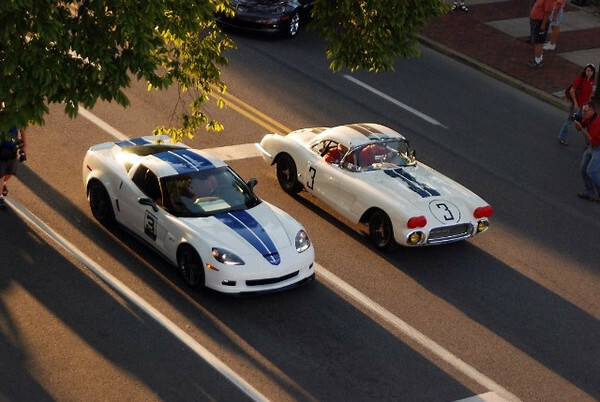 The founder of Corvettes at Carlisle, Carlisle Events and the Chip Miller Charitable Foundation helped orchestrate a once-in-a-lifetime gathering of the original 1960 Briggs Cunningham #3 Corvette, its driver John Fitch, along with the one-off 2011 GM Tribute Corvette. Source: http://forum.lsxtv.com/showthread.php?t=3082.